Are We Nearing Collapse In The Dispensation Of Justice In India? India perceives its justice system as one of the pillars of its democracy (Kant, 2017). However, Sengupta suggests that India’s justice system is erratic, slow and under-staffed thereby implying that cases have taken so long to be heard and justice has long been denied to many people. For example, after the Sikh riots were held in 1984, a final decision on those that had been accused has not been delivered (2017). Not just this, umpteen number of cases do not see the light of justice in a time bound manner. Another example of the dire situation the Indian justice system experiences is evidenced by the Indian justice system public cry to the country’s Prime Minister. The Chief Justice openly cried and pleaded for additional resources for dealing with the resource crunch that hit the system (Kant, 2017). The three tiers of the Indian judicial system include the lower, state High Courts and Supreme Court and they continue experiencing numerous challenges (Sengupta, 2017). Hence, this paper provides a critical analysis of why the Indian judicial system is slow and how the issues arising can be addressed. The process of securing justice is considered difficult from the point of ordinary Indians. The chaos witnessed in the Indian justice system is attributed to procedural difficulties experienced by people seeking justice (Sengupta, 2017). Studies by Kant reveal that the time taken to register a case and going to lower courts and deciding cases in the High Court or Supreme Court takes years. These difficulties are further complicated by the fact that these courts are under-staffed and the existing vacancies in these courts are yet to be filled (2017). Reports by Sengupta also indicate there are over 27 million cases that are still pending in Indian courts and over 6 million have been pending for more than five years. In managing these courts, there are only 16,000 courts and insufficient judges for handling these disputes. There is insufficient number of judges to handle the backlog of cases plaguing the Indian justice system is evidenced by the inadequate number of judges found in the Supreme Court (Sengupta, 2017). In this regard, the Indian Supreme Court has currently 25 judges, against a maximum possible strength of 31. As per the Constitution of India, judges of the Supreme Court retire at age 65. Of the existing 25 judges currently, 7 Judges including CJI Misra, and Senior Justice Chelameswar are going to retire in 2018. 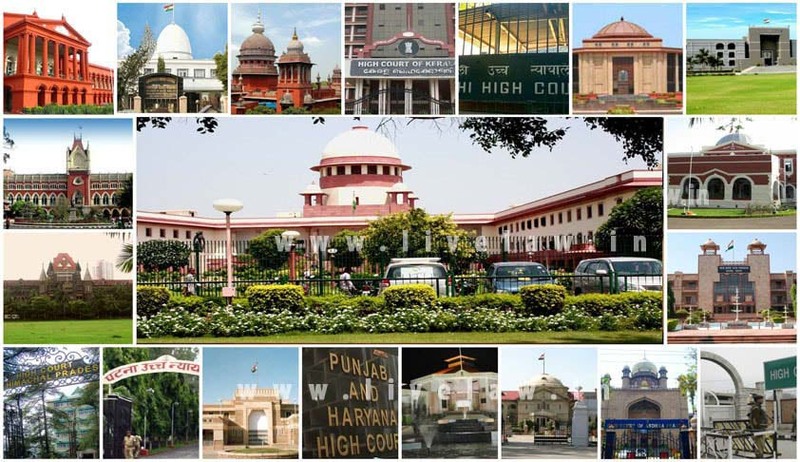 More so, the country’s Supreme and High Courts has recently announced over 409 vacant positions (DOJ, 2018), while subordinate courts in India are experiencing a shortage of around 4,100 judges. Thus, one judge serves approximately 73,000 people, a number that’s more than seven times the amount of people a single judge serves in countries like the US. These are inadequacies that the Indian justice systems experiences despite recommendations being made for increasing the number of judges in 1987 (Sengupta, 2017). It’s the gaping hole in filling the vacant posts in India’s judicial system that is responsible for bringing it to near collapse and bringing miscarriages to the dispensation of justice. Inadequate manpower in India’s lower courts has been problematic because the largest amounts of pending cases are found in these courts (Kant, 2017). The National Judicial Appointments Commission Act of India has been created to initiate reforms in the country’s judicial system by appointing more judges to these lower courts, it has encountered a court order that has stalled its operations (Sengupta, 2017). In this regard, the commission’s work of appointing judges has stalled. Moreover, the slow nature of carrying out proceedings in light of the huge number of pending cases has persisted and continues affecting ordinary citizens (Kant, 2017). The challenges responsible for slowing the Indian judicial system are compounded by the meager resources allocated to the judicial system by the government. In this regard, India’s 2016 budget allocated approximately 0.2 percent of its resources, 2017 budget allocated a meagre 0.4 per cent of the total budget and budget-2018 has allocated Rs. 630 crores for creation of judicial infrastructure and Rs. 480 crores towards computerization of courts, and this is much lesser to 2017 allocations. These amounts are among the lowest allocated to any judicial ministry around the globe. For example, the US allocates around 4.3 percent of its budget to its judicial system whereas the UK allocates around 1.4 percent (Sengupta, 2017). Reports by Kant also indicate that power struggles between judges and government officials have significantly affected the speed of operations in the judicial system. For example, recently in Tamil Nadu, the courts requested the government to place waivers on loans owed by farmers and lift bans on liquor and these issues caused friction between government officials and the judiciary (2017). More so, the speed of operation at the judicial system is hampered by the use of delay tactics allowed by the courts and include tactics like adjournments. These are tactics that bring delays in handling of judicial cases and prevent the effective management of the cases being brought to court. They are also responsible for blocking judicial time and impoverishing litigants eventually deterring them from accessing formal justice. These circumstances are compounded by the fact that it’s only lawyers that benefit from the decisions made by courts and not the people (Sengupta, 2017). In resolving the challenges that the Indian judicial system is facing, various steps can be taken. Firstly, the Indian government in collaboration with the country’s judiciary should set up fast-track benches and courts for speeding up the hearing of pending cases. These benches and courts would come in handy in reducing the backlog of pending cases in the lower courts (TNN, 2007). Secondly, strong reprimands that are responsible for coming up with offhand cases should be implemented within the Indian judicial system. Such a move would ensure that cases coming into lower courts are legitimate and can be handled effectively. Consequently, moves aimed at imposing fines for those cases considered frivolous would be welcome in easing the backlog of cases in lower and higher courts (Kant, 2017). Thirdly, the Indian government should create plans for increasing the judicial system’s strength by increasing the number of personnel recruited in all levels and ensuring they are all adequately trained. In this regard, new recruits to the judicial system should be closely monitored to ensure that they maintain the required standards when dispensing justice (TNN, 2007). Fourthly, owing to the high population that India boasts and the large number of cases that are pending in the Indian judicial system, the court authorities should consider keeping the courts opened on a 3 shift a day-full-time basis. Such a move would help ensure the backlog of cases reported in Indian courts is cleared (Sengupta, 2017). Fifthly, a great need exists for modernizing the courts in India so that the process of filing cases and processing them is quickened (Kant, 2017). Sixthly, the government and court authorities should ensure that stalling techniques currently used in courts are reprimanded by eliminating the corrupt practices and officers responsible for corruption have to be under the constant vigil of a special anti-corruption bureau meant for judiciary (TNN, 2007). Lastly, the old regulations and legislation found in India’s constitution that date back to pre-historic times and are outdated should be repealed to eradicate the delays they bring to the handling of court cases (Sengupta, 2017). Further, Indian courts have to be digitized in all aspects. Infrastructure has to be created to meet the current and future needs of judiciary. Sufficient budget allocation in lines of developed nations is the need of the hour for judiciary. In conclusion, paper provided a critical analysis of why the Indian judicial system is slow and how the issues arising can be addressed. It showed that the slowness of the Indian judicial system arose because of the presence of inadequate staffs, conflict of interests between government officials and judges, corruption and the use of delay tactics among others. In resolving these issues, it called for strong reprimands on stalling tactics, changes to old laws and regulations, modernizing the courts and keeping courts always open among other measures. If we don’t take corrective measures, we are on the verge of judicial system collapse in India. Dr.V.V.L.N. Sastry is Researcher in Law at Walden University, USA and Legal Counsel, Lex India Juris.